"A great and easy way to add some flavor to your hamburgers!" In a large bowl, mix together the ground beef, Cheddar cheese, horseradish, salt, pepper, garlic powder, and bacon bits using your hands. Shape the mixture into 4 hamburger patties. Lightly oil the grill grate. 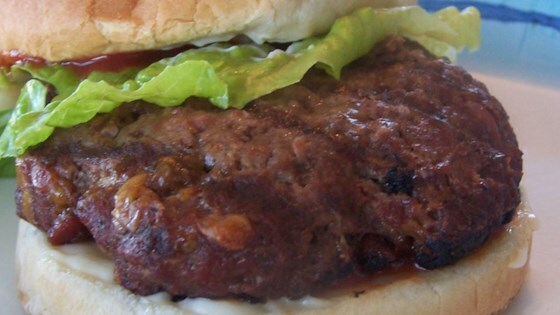 Place hamburger patties on the grill, and cook for 5 minutes per side, or until well done. Serve on buns. Very good! I also cook them in a black iron skillet in the stove. i am a professional caterer by trade. i opted to cook some rice in beef stock and add the cooked rice to my mix. they were so flavorful, def one of my fav. red meat recipes!! !amazing burger!